One heavy duty tool for high tension steel strapping - no seals required! 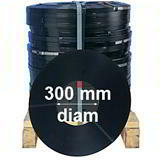 with this high tension sealless combination tool. 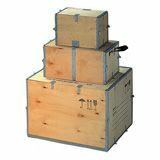 Designed for faster hand strapping, sealless combination tools are ideal for flatpack application.Simply place on top of the crate or carton and feed through the ends of the steel strapping. Combination tool tensions and seals with high pressure action and without the need for separate metals seals. 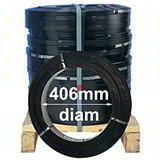 Models are available to suit your steel strapping. Sealless combination tools fit width of 12mm, 16mm and 19mm depending on the model ordered. 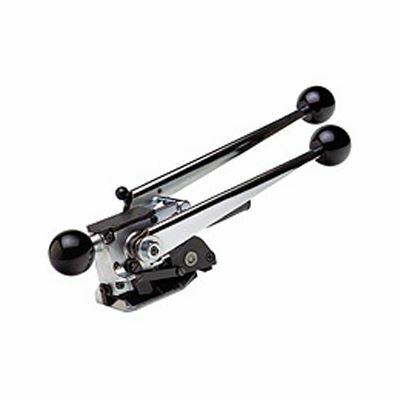 Buy these sealless combination tools for steel strapping online, or ring our friendly packaging experts for advice. We've over 35 years packaging experience, a comprehensive range of strapping tools in stock and low prices on sealless strapping tools. You're sure to find the right tool for the job at a great price!